I am truly a free spirit. I love traveling around the world meeting new people and experiencing new places. I am obsessed with Yoga. I had chronic pain in my right knee and hip for years until I made a commitment to develop a strong yoga practice. I then went on to become a certified yoga teacher. I co-owned and co-founded Jetpack America, a water propelled jet pack company that sells jetpacks and jet blades around the world. We had flight schools where we teach people to fly! UPDATE: We sold the company to FLY DIVE. I am am now exploring new opportunities in the wellness industry as a certified Life Coach and Yoga Teacher. I LOVE to sing and write songs. Long ago, I was a cruise ship singer and then performed on the US Television show,”Popstars.” I still sing in a band called Mixed Tape when I am in Orange County. When I am in India, I sing for special occasions at Amma’s Ashram. I also love to help young artists develop their songwriting and performance skills. I graduated UCSD in three years so I could get out of school as quickly as possible. I wanted to explore the world! I studied Communication and Literature/Writing. I LOVE school. I consider myself a proud nerd and often have my head in a book. I have a Guru (Spiritual Teacher)! Her name is Amma. Check out her WEBSITE. I am writing a book all about my wanderlust adventures! My best friend is a ridiculously talented Popstar who graciously lets me tag around the world with her on her crazy adventures. I met her 17 years ago on the above mentioned television show. Though I was raised comfortably in Orange County, I find myself more at peace enjoying the simple life in an Ashram in Amritapuri, India. The definition of great wealth for me is to have a strong connections with my friends and family. So, I guess you can say… I’m RICH! I Love helping people in any way I can. It just feels good, you know? Katie Morris (EYT-500) is an experienced yoga teacher, accredited life coach, an international singer and a passionate speaker. She has studied with Joe Miller, Gabrielle White Wolf, Sean Narendra Ferguson, Angelica Govaert and many others. 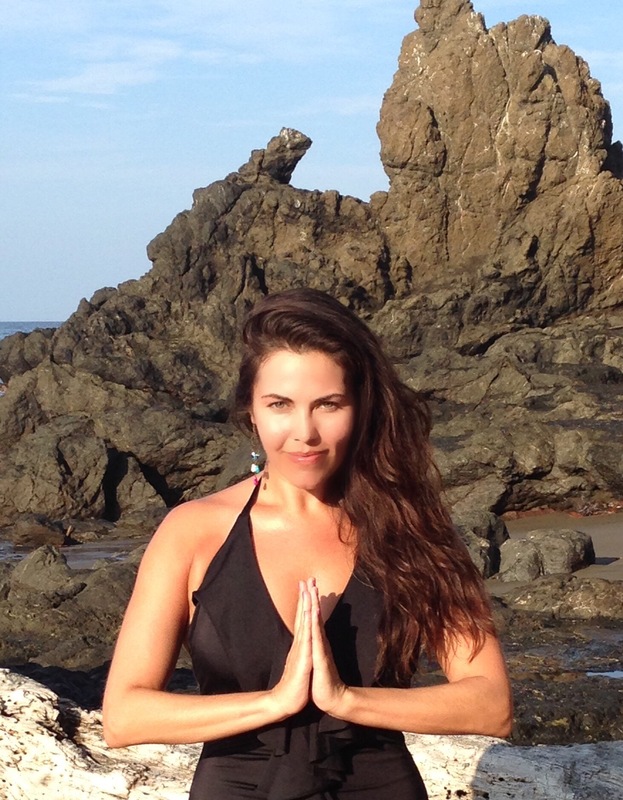 Morris is a graduate of the Awakened School of Life’s 500 hour yoga teacher training program. As a globetrotting yoga teacher, she offers classes and workshops focused on both the physical and mystical aspects of Yoga. In addition to teaching yoga, Morris spends much of her time in India doing selfless service work.